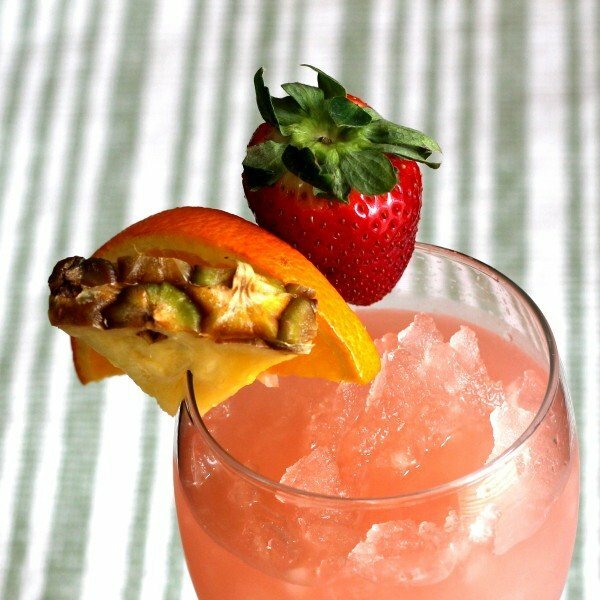 The Haitian Gold cocktail has so much fruit juice, you could almost mistake it for a health drink. It’s not, though. 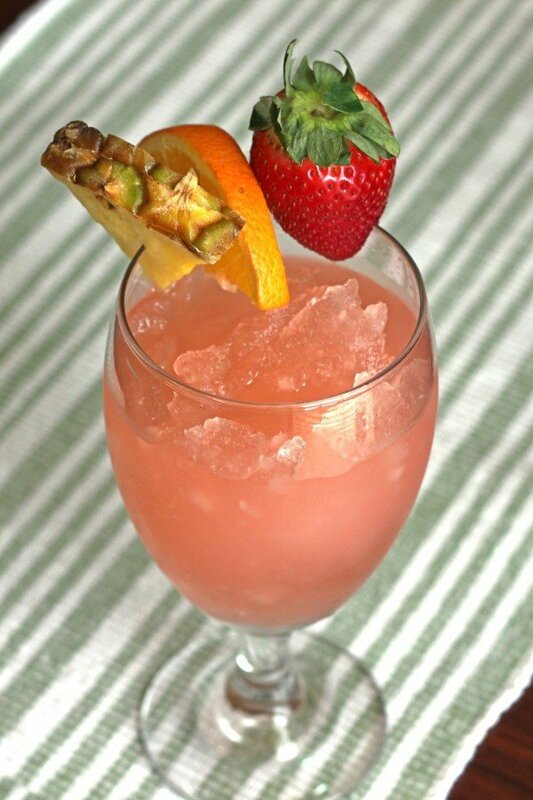 It’s just a lovely fruity, fairly strong cocktail that’s sweet enough to be a dessert drink. Enjoy a Haitian Gold anytime you’re craving a fruity drink with a kick. It’s great paired with salty party snacks. Put everything in a blender with a glassful of crushed ice. Run the blender for just a few seconds – this one should smooth out very quickly, so you don’t want to make it totally liquid. Garnish with fruit and straws.